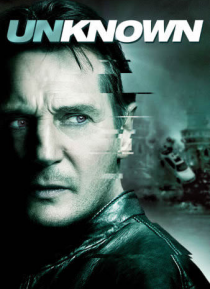 Liam Neeson stars as Dr. Martin Harris, who awakens after a car accident in Berlin to discover that his wife (January Jones) suddenly doesn't recognize him and another man (Aidan Quinn) has assumed his identity. Ignored by authorities and hunted by assassins, he finds himself alone, tired and on the run. Aided by an unlikely ally (Diane Kruger), Martin plunges into a deadly mystery that will force… him to question his sanity, his identity, and just how far he's willing to go to uncover the truth.